The bulk of my work is now on Twelve Minutes and so any art that I do ends up being focused on that project and posted on the game’s website. I feel its important to keep track of your creative work and somehow catalog it. It allows you to see the progress of what you are doing and have a better perspective of how you changed as an artist throughout the years. So with that in mind, I’ll start posting what I’ve been drawing recently that is not related with Twelve Minutes. 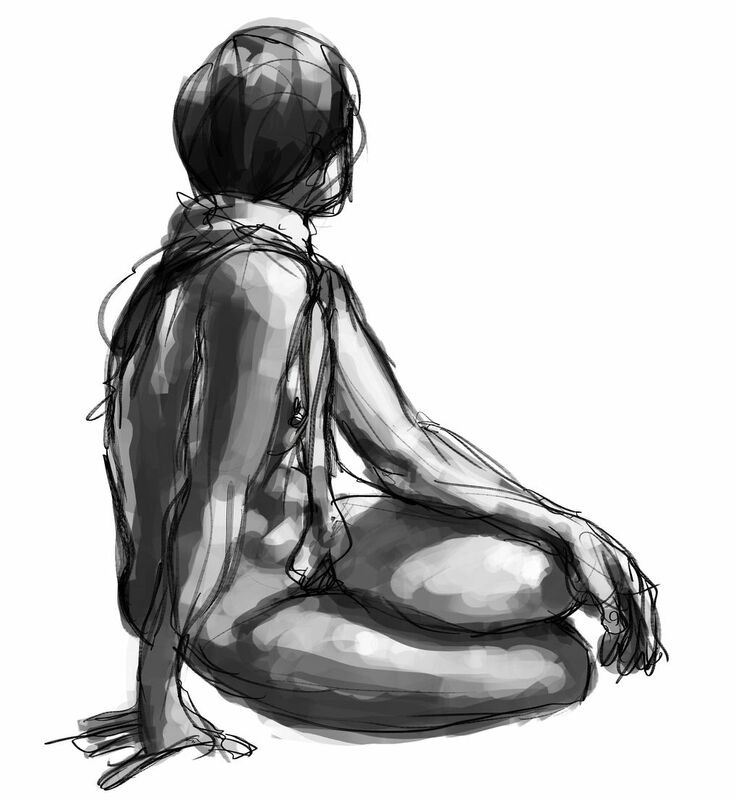 These are from yesterday’s Life Drawing session all done using a Cintiq Companion 2 and Krita. For years I’ve relied a lot on line drawing to get as much information as possible before moving to color, and then I only use it when I know I’ll finish a piece or need more information before doing a Zbrush sculpture or 3D model. Since I now have more free time, I’ve decided to go into areas I’m not confortable with and explore actual painting and letting go of the line drawing as much as possible. With that in mind, here are the results from yesterday’s session, The lines were done as fast as possible (usually about a minute) and then just getting lighting information with brush strokes.